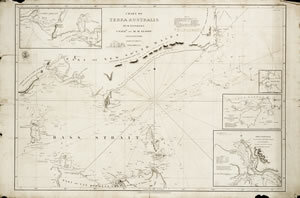 One of the charts of Australia made by Flinders from his surveys in the 'Investigator'. This chart shows the Bass Straits, part of the south coast of New South Wales and part of Van Diemens Land. Find out more about this chart and view a high-magnification version in Collections online.